The Presidency on Sunday described as false accusation a statement credited to Senate President Bukola Saraki, that the executive was to blame for the delay in approving the supplementary budget for INEC. The Senior Special Assistant to the President on Media and Publicity, Garba Shehu, reacted on behalf of the Presidency in a statement made available to journalists. He stated the fact that the INEC proposals came after the President had laid the 2018 budget before the National Assembly meant that the electoral commission’s proposals would be sent as a supplementary budget. This, he said, was clearly stated to the federal lawmakers by the Minister of Budget and National Planning, Udo Udoma. “A supplementary budget cannot be submitted until the main budget is passed, and so the delay in passing the main budget was the reason for the delay. “The National Assembly passed the 2018 budget seven months after the document was submitted to the National Assembly by President Buhari. Unless someone has forgotten, the budget was submitted to the National Assembly and it took the Saraki-led National Assembly seven months to release it. Shehu also recalled that in giving his assent, Buhari said he was compelled to sign the budget so as not to keep the economy continuously on a standstill. 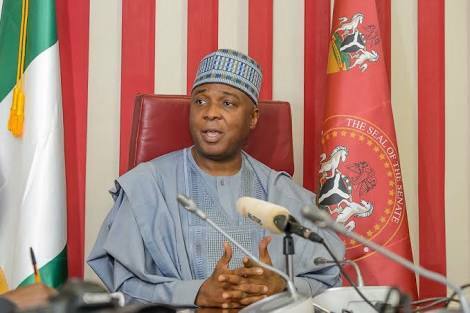 “When I submitted the 2018 Budget proposals to the National Assembly on 7th November 2017, I had hoped that the usual legislative review process would be quick, so as to move Nigeria towards a predictable January-December financial year,” he quoted the President as saying. Shehu said it was noteworthy that it was the first time in Nigeria’s history that a government would bring together the cost of an election in one budget, with each agency involved invited to defend their portion of the budget before the National Assembly. This, he said, was all part of the transparency that the government was known for.